I was in Cape Town this week, for the annual conference of the Human Development and Capability Association (HDCA). Since earlier this year I was elected President-elect of the HDCA, and have also been an associate editor for its journal for a few years, I was occupied with the conference and organisation matters from the moment I arrived till the closing session which I chaired. 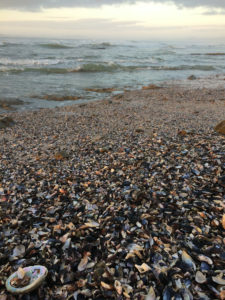 It is frustrating to be in a building several days non-stop, and not seeing anything of the city, so I was very glad that Ina Conradie, my former PhD Student and a longtime resident of Cape Town took me to Mouille Point Beach, to inhale the smell of the ocean and get some clamshells for my sons. 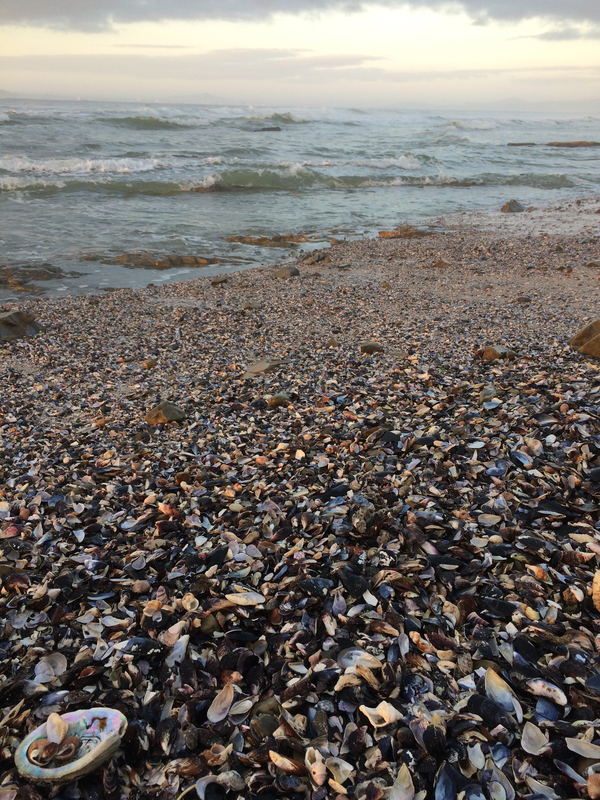 Friends had warned me that Cape Town beaches are white-sanded and may be without shells, but not this one! I’ve never seen so many shells on a single beach, including some very beautiful ones. If I look at the country of origin of shells that are sold on the internet, the Philippines must be a paradise for people collecting shells; but I’ve never been there, so don’t know. thank you.. glad you were able to get out at least for a bit. It’s a shame to be in Cape Town and not see something of the country around, it is very beautiful. When I was a toddler we lived in an apartment on Mouille Point, where the lighthouse moaning on foggy nights used to haunt my dreams..
We spent a lot of time on that beach which I remember as sandy and white. The marine environment around CT has changed considerably since I were a boy, though. Down on the L of the picture, an abalone shell. I had several of those picked up from the Cape beaches, but they all vanished in the course of one move or another. Dough, luckily it was my third visit to Cape Town (I went twice earlier to teach), otherwise I would probably have felt rebellious of traveling so far in order to stay in a conference hotel. There were plenty of Abalone shells on that beach – I think I brought 7 or 8 home, leaving the once that were not intact on the beach. But it’s funny that you write it was Sandy and white once upon a time, now it was totally filled with shells, plants and rubbish that had washed ashore. That turtle picture is great!